At Moocow we’re all about knowing what’s best for your business, whether it’s trending tech news, the latest updates, design tips or marketing tactics. And when it comes to getting you your perfect website, we pride ourselves on making sites that are both manageable and secure. 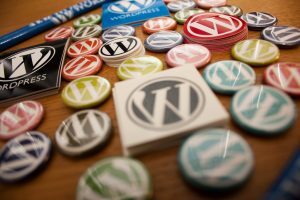 Following the launch of the European Union’s General Data Protection Regulation laws (GDPR) which began May 25, WordPress have made some important updates to privacy and maintenance options for site users. GDPR requires businesses or web page owners to be clear and upfront about how they’re using, collecting or sharing your personal data. It also means users have more choice and control over how their data is stored and shared. “Mine” included as a filter in the media library. When displayed in admin, plugin-ins will now show the minimal PHP version required. New PHP polyfills for forwards-compatibility and proper variable validation have been added. TinyMCE updated to newest version (4.7.11). Take a look at the WordPress site here to read up on the more in depth details on all the updates included.